In introducing the new T90 Diva speaker cable to us, Black Rhodium proprietor Graham Nalty wrote: “This is the same cable as we use for the Illusion interconnect”. OK ... but hang on a minute, how many interconnects are in any way suitable for speaker cable duty? Illusion is relatively unusual in being an unscreened interconnect, just two tightly twisted conductors and this, in turn, makes a relatively unusual (because of its thinness) speaker cable. Perfectly workable, though, the only potential drawback being the high-resistance inevitable in thin wire. Each PTFE-insulated solid strand is 1.3mm overall in diameter, making for an exceptionally discreet cable which is easily bent into shape, too. 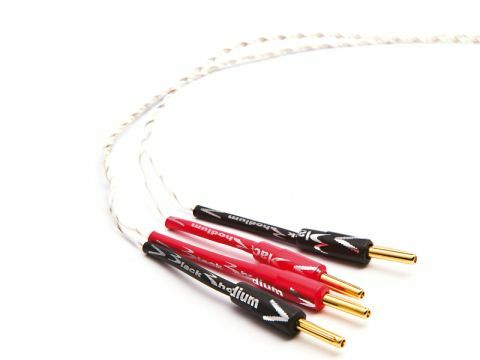 It’s notoriously hard to generalise about the effects of specific electrical qualities in cables on sound, but thin cables are often thought to be a little bass-shy. We wouldn’t say that’s the case here, but despite good extension we were slightly troubled by the quality of the bass. It is only moderately well controlled and we felt it lacks some precision and kick at times. It also tends to become reclusive when the midrange and treble are busy. High treble is clean, if not remarkably extended and we really enjoyed the lightness of string quartets, guitar ballads and suchlike. Detail is fair for a cable at this price and imaging is sharp and precise laterally, though it lacks some depth.